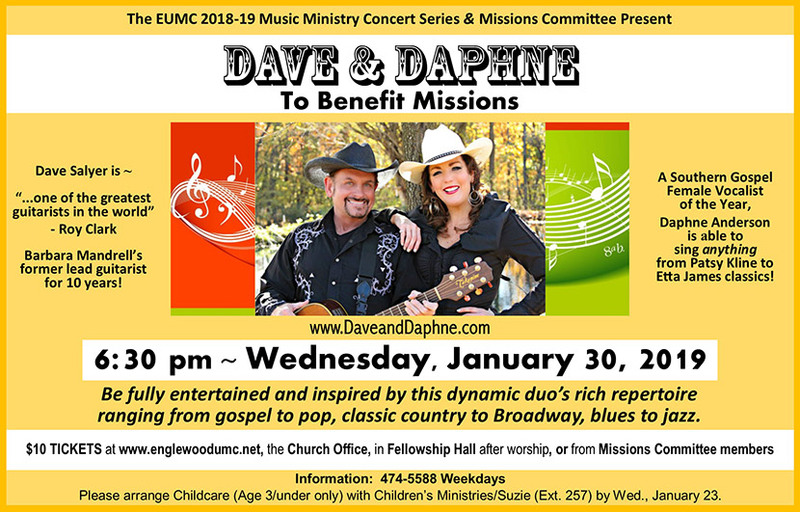 Don’t miss Dave Sayler and Daphne Anderson! Touted by Roy Clark as one of the greatest guitarists in the world, Dave played lead 10 years for Barbara Mandrell. Known for her ability to “sing anything” from Patsy Kline to Liza Minelli, Whitney Houston to Etta James, Daphne was a Southern Gospel Female Vocalist of the year. Their rich repertoire ranges from classic country to Broadway, pop to gospel, and jazz to blues. Net Proceeds Benefit Missions. Children & Students Free with Paying Adult.